Ready to compare water ionizers and find the right machine for you? On this page, we will show you how to do water ionizer comparisons, answer your important questions, and make you an expert in finding the right machine for you. The combination of filtration, power, and plates determine how pure and how potent your alkaline water is for health. Nothing else about an ionizer affects the quality of the water it produces more than those three things. Looking for something specific? Click a link below and learn more about any of these topics. • What is a Water Ionizer? • How Does an Alkaline Water Ionizer Work? • What is Alkaline Water? • pH, Alkalinity and Antioxidant Potential: What you need to know. • How do the Major Brands of Water Ionizers Compare? Filtration is important because it determines the purity of your water. Your ionizer must effectively filter chlorine because chlorine can make alkaline water toxic! The best machines use Vitamin C filtration media because Vitamin C media is the most effective anti-chlorine filtration media available. Heavy metals are another serious problem that your ionizer’s filters must address. Lead contamination is widespread, so is Hexavalent Chromium 6, even some radioactive elements, such as uranium, are being reported as widespread problems. Be careful, some ionizers such as the Kangen machine, don’t filter heavy metals – at all. Unless you are sure there are no heavy metals in your water, you should avoid machines that don’t filter metals for your own safety. There are 1000’s of toxic chemicals in water. Do you know what chemicals are in your water? More importantly, does the company you’re buying your ionizer from know what chemicals are in your water? They should. Your local water utility is required to report what chemicals have been found in your water to the EPA annually. That report is public information. At LIFE Ionizers, we use the EPA report, and other reports from private organizations like the Environmental Working Group (EWG) to customize your machine’s filtration. The EWG has a nationwide database of tap water that reports on chemicals found in tap water that the EPA doesn’t even test for. It is thanks to the EWG’s database that we now know that Hexavalent-6 (a potent carcinogen) contamination is widespread and that it’s bad enough to be a serious threat to public health. We make sure you have the right filters to deal with whatever we find in your water. Those filters are provided free when you purchase a LIFE Ionizer. 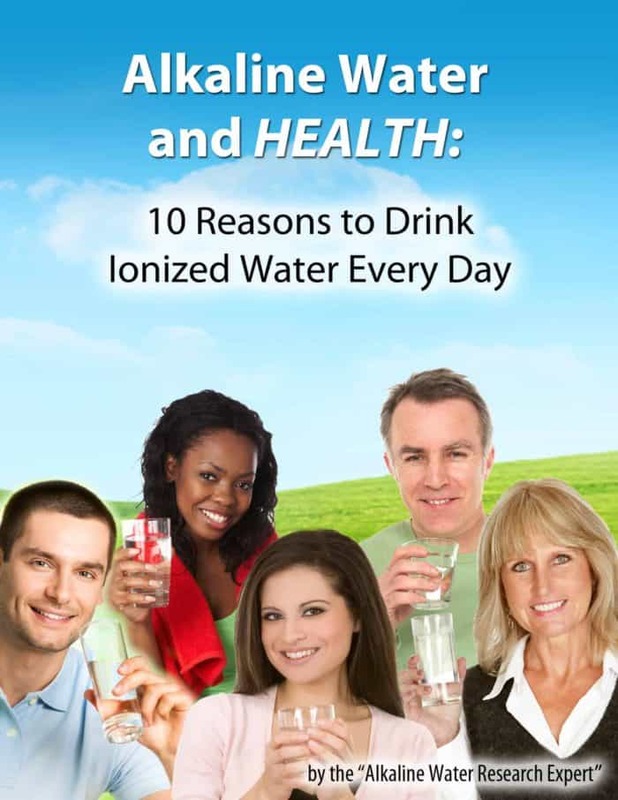 Power is important because the amount of power you have determines how well your water ionizer can ionize your water. If an ionizer doesn’t have enough power, you have to slow the flow of water going through it down, to get acceptable ionization levels. Ionizers with lots of power are also the only machines that can make high pH alkaline water and low pH acidic water without the use of chemicals. High-powered ionizers are also better at self-cleaning hard water deposits than underpowered machines. Ionizers self-clean by reversing the current to the plates. The most powerful machines have Switched Mode Power Supplies (SMPS) that can deliver a rapid series of shocks to the plates, which break loose hard water deposits. Underpowered ionizers like the Kangen Water machine require frequent manual cleaning because they don’t have enough power to clean themselves. The Kangen machine requires manual cleaning every six weeks: You have to disassemble the machine, add a cleaner, and let it sit overnight. Powerful machines like LIFE’s MXL series ionizers only need cleaning at filter change, about once per year. The plates in a water ionizer is where the filtered water is ionized into alkaline water, they are the heart of the machine. The type, size, and number of plates determine how well and how fast the machine can ionize water. In general, you want to have a machine with as many large plates as you can get. Large plates provide more surface area for the water to be in contact with when it is being ionized. More contact = greater ionization. More ionization means you can get higher pH levels, and more antioxidant potential in your alkaline water. Keep in mind that all of the health benefits of alkaline water come from it’s alkaline pH levels and its antioxidant potential. The type of plate used determines how efficient the plates will be at ionizing your water. Conventional flat plates are the least efficient type of plate. MESH and GRID plates are the most efficient types of plate. These types of plate increase the pH and antioxidant levels a machine can reach by 10 – 15%. GRID plates are more durable than MESH plates. The very best ionizers on the market all come with GRID plates. Beware of machines with slotted plates. Those types of plate are cheap to manufacture, but they don’t work well at all. The platinum coating on the plates determines how long the plates will last. In general, the thicker the coating, the longer the plates last. The number of coats on the plate also affect its reliability. Many thin coats will outlast fewer thick coats. The best ionizers have 8 coats of platinum, those plates are typically guaranteed for life by the manufacturer. A water ionizer is a machine that uses electromagnetism to separate the alkaline elements in water from the acidic elements. Both the alkaline and acidic elements in water have an electromagnetic charge. Because they have a charge, both the alkaline and acidic elements are considered to be ions in chemistry. Alkaline ions have a positive charge, acidic ions have a negative charge. Because opposite electromagnetic charges are magnetically attracted to each other, a water ionizer is able to use electromagnetism to separate the alkaline ions from the acidic ions. Those charged ions are what ionizes the water that the machine makes. After being ionized the alkaline water has a higher pH than the source water it was made from. That higher pH comes from all the alkaline ions that have become concentrated in the water after being separated from the acidic ions. The acidic water has a lower pH than the source water it was made from. That lower pH comes from the acidic ions being concentrated in the water from the ionization process. Water ionizers separate the alkaline ions in water from the acidic ions in water using electromagnetism. They do this by charging the plates electrically, the plates then become electrically magnetized. The plates are separated from each other by special membrane called an Ion-Exchange Membrane. The ion exchange membrane allows ions, which are charged particles, to pass. The membrane blocks particles that have no charge. Water molecules have no charge, so they are blocked from passing. After the ions are separated, they end up in separate chambers. One chamber holds the alkaline water, the other has the acidic water. The alkaline and acidic waters are then discharged from the machine through separate outlets. High-powered ionizers are water efficient. Because water ionizers must make alkaline and acidic water at the same time, most ionizers produce 50% alkaline and 50% acidic water when they are running. High-powered ionizers get around this by using extra electromagnetism to force the acidic ions into a smaller chamber. With high powered machines, you get 60% alkaline water, and only 40% acidic water. These water saving ionizers will have 400 or more watts of power. • If you have hard water then a water alkalizer will not work with your water very well or at all. An alkalizer depends on its ability to dissolve minerals in your water. If you have hard water, then your water is already pretty full of minerals, so the alkalizer won’t be able to add any. This means that the water you get won’t be very alkaline, in fact it may not change pH at all. • Alkalizers can’t perform as well as ionizers. 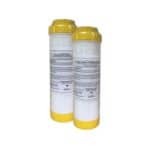 Water alkalizers are limited to pH levels of no greater than 9.5 to 10. They also do not put much, if any, antioxidant benefit in the water. Because of this weakness, water from an alkalizer won’t have the same effect on your health that a water ionizer does. • You may exceed the recommended daily intake of calcium and magnesium. Over calcifying or taking too much magnesium can have adverse health effects. It is best to measure water made by a water alkalizer for calcium and magnesium hardness. You should not consume more than 2,000 mg of calcium, and 400 mg of magnesium daily. • If you test the water from the alkalizer, that test will tell you how many milligrams per liter (mg/l) of calcium and magnesium are in your water. • If you have 100 mg/l of calcium, that means you have 100 milligrams of calcium per liter of water, so you’ll get 100 mg of calcium from every liter of water you drink. Alkaline water is any water with a pH of higher than seven. You may even have alkaline water flowing from your tap right now, but it’s not the same kind of alkaline water made by a water ionizer. Tap water contains mineral bicarbonates, mostly calcium bicarbonates and magnesium bicarbonates. Alkaline water made by a water ionizer contains mineral hydroxides, mostly calcium hydroxide and magnesium hydroxides. Those hydroxide minerals are more alkaline than mineral bicarbonates, so they give the alkaline water it’s higher pH. Those mineral hydroxides also give alkaline water antioxidant potential. That antioxidant potential, along with the alkaline minerals, are what makes alkaline water from a water ionizer healthier than regular, plain water. The alkaline water made by a water ionizer is called Ionized Alkaline Water. It is also called Electrolyzed Reduced Water (ERW) by scientists. The ionized alkaline water made by a water ionizer is unique; it has antioxidant potential, which some studies suggest may extend your life. The most important effect that ionized alkaline water has is it’s effect on the intestinal environment: It creates an antioxidant environment that favors the growth of beneficial probiotic microbes in your gut. Many diseases begin with poor gut health, by improving the antioxidant status of the gut, ionized alkaline water provides many health benefits that may help you restore your good health. Non-antioxidant alkaline water doesn’t have anywhere near the same health benefits that ionized alkaline water has. Did you know? When buying a water ionizer, the machine’s ability to make your water an antioxidant is the most important thing you should look at when comparing between ionizers. pH, alkalinity and antioxidant potential: What you need to know. The pH of water, and the alkalinity of water aren’t the same thing. The term pH stands for potential hydrogen. It measures the concentration of hydrogen and hydroxide ions in the water. Hydrogen ions, or “active hydrogen” don’t actually exist in nature for more than a few trillions of a second because hydrogen ions are highly unstable. So what pH is actually measuring is the amount of hydronium (H30+) in the water. Hydronium is a water molecule with an extra hydrogen ion in it. The pH scale measures the balance of hydrogen ions and hydroxide ions. In water with a neutral pH of seven, there is an equal balance of hydrogen ions and hydroxide ions. In alkaline water, there is a greater number of hydroxide ions versus hydrogen ions. In acidic water, there is a greater number of hydrogen (hydronium) ions than there is hydroxide ions. 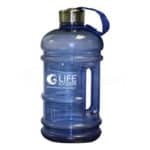 • Water with an alkaline pH neutralizes pepsin – the enzyme that triggers acid reflux. • Alkaline water hydrates better because it is the right pH for absorption in the intestines. If you suffer from acid reflux: Alkaline water has been shown to provide gradual relief from your symptoms. You may be able to stop taking reflux medicines entirely. 3 out of 4 Americans are dehydrated according to the CDC. If you are one of them, improving your hydration status will result in a big improvement in your health. Alkalinity measures the ability of water to neutralize acids. As we age, our body’s alkaline buffer – it’s ability to neutralize acidity, declines. This often leads to major health problems like osteoporosis, high blood pressure, insulin resistance, and morbid obesity. If you suffer from any of the above, alkalinity is more important than pH. To produce high alkalinity, a water ionizer needs lots of power. That power is needed to produce the magnetism necessary to attract as much of the alkaline minerals in your water to the alkaline water side of your ionizer. If you combine alkaline water with strong alkalinity with a sensible diet, recent clinical research shows that your health could improve significantly. The antioxidant potential to extend your life: Dr. Ray Kurzweil is considered to be the world’s foremost authority on life extension, and he drinks alkaline water from a water ionizer! The antioxidant benefit of ionized alkaline water has been shown in studies on model organisms (lab animals) to extend life and improve health. This is the single most important benefit of ionized alkaline water. The most important thing to compare: The antioxidant potential an ionizer can produce is the most important thing to compare when comparing water ionizers. You want the machine that can produce the highest overall antioxidant Oxidation Reduction Potential (ORP). It is also important that the machine you choose can produce the highest antioxidant ORP at a pH of 9.5, because that’s the pH of alkaline water you should be drinking every day. Doctors and health experts agree: 9.5 is the ideal pH for daily consumption of alkaline water. So the machine that can produce the highest antioxidant ORP at a pH of 9.5 is the machine that is most likely going to help you live longer and healthier. All water ionizers produce molecular hydrogen The most powerful ionizers are the ones that produce the most hydrogen. If you want the most hydrogen in your water, you should choose an ionizer with 800 or more watts of power. The reason you need a lot of power is that the hydrogen and oxygen atoms that make up water molecules are tightly bonded: They have a very strong magnetic attraction to each other. To break the hydrogen free, you must supply enough power to overcome those tight bonds. Did you know? Hydrogen generators are ultra high power ionizers: The ionizers that are used to make hydrogen gas have a lot more power than drinking water ionizers. They typically have about 5000 watts of power. Don’t get ripped off! If someone tells you that their 150 watt machine can produce hydrogen, they are lying. That simply is not enough power to split water molecules. Some studies suggest that molecular hydrogen could be a powerful antioxidant. It has been shown that breathing molecular hydrogen could be a novel therapy for preventing damage after certain types of heart attacks and strokes. But the evidence for health benefits from drinking water with molecular hydrogen in it are a lot less clear. Research comparing the antioxidant benefit of hydrogen water to ionized alkaline water shows that ionized alkaline water is a stronger antioxidant. But there’s a problem. Hydrogen water is made either by using a water ionizer, or using a hydrogen stick. The problem is that both an ionizer and a hydrogen stick also generate hydroxide minerals when you use them on water. Another problem is that you only get a tiny amount of molecular hydrogen in a glass of water. Hydrogen as a therapeutic gas is dose-dependant: You have to consume a lot of it if you want a substantial benefit to your health. You can’t get a lot of hydrogen to stay in a glass of water, it floats away. So the dose of hydrogen you get in a glass of water is unlikely to have much, if any, effect on your health. Bottom line on molecular hydrogen: It has therapeutic potential, but it’s not likely that you could get enough of it in your water to make a difference in your health. • Water structuring or microclustering: Some ionizer companies suggest that water molecules form clusters. They say that those clusters in ordinary water are too large to absorb. They conclude that a water ionizer breaks down those clusters into smaller, hexagonal clusters. None of that is even remotely true. • Stay away from ionizer companies that claim their machines restructure or microcluster water. Those claims just aren’t true. Anybody that makes those claims doesn’t understand hydrogen bonding. Water molecules can bond together – briefly, but then they break apart again – in just a few trillionths of a second! That process of bonding and then immediately breaking apart is called hydrogen bonding by scientists. Water molecules don’t hang out together in clusters, they are constantly moving around in the water and bumping off each other. The only way you can get water molecules to stop moving around and stick together is when you freeze water. Then water molecules do stick together, and form ice crystals. Think about it: If the ionizer company doesn’t understand the actual science behind the machine they are selling, how can they be truthful with you about how it would affect your health? Water ionizer comparisons: What actually matters and what’s just hype? Filtration, plates, and power. You learned previously that these are the three most important things to compare when comparing water ionizers. In this section, we’ll look at some major brands of water ionizers, and see how they stack up. What you will learn from this is how to find the machine with the ideal combination of filtration, power, and plates for your budget and health needs. • A machine with filtration that is customized to filter all of the toxins in your water. • Many large plates, combined with lots of power. The ultimate, top-of-the-line machines have 15 large plates, around 800 watts of power, and customized filtration. Ideally, you want GRID plates because they are the most efficient and durable plates made. GRID plates always come with a lifetime guarantee, because unlike other plates, manufacturers know that GRID plates will last practically forever. How do the major brands of water ionizers compare? We chose these brands because they are all very different machines from one another. We will show you how deficiencies in filtration, power, and plates affects the performance of the machine.You will also get to see how a machine with no deficiencies in the three areas performs. Have questions about other brands? Give us a call or chat with a water ionizer specialist. The Aqua Ionizer deluxe is one of the cheapest ionizers made, for a very good reason. It has inadequate filtration, very low power, and tiny plates. We tested this machine using tap water with a pH of 7.6 and an ORP of +128 (positive ORP means the water is an oxidant, which can be harmful). Turned all the way up, this machine only gave us a pH of 7.9, and an ORP of +56. This machine has almost no effect on the water passing through it because it lacks power. The Aqua Ionizer deluxe comes with a basic carbon filter, with some other substance in it, possibly a calcium supplement. That mystery substance in the filter is likely responsible for the change in pH and ORP that we observed. The filter can reduce chlorine in your water, but not much else. If you have heavy metals, nitrates, or pretty much any other toxin in your water, this machine will not remove them. Take away: This machine has a weak effect on water, and very poor filtration. It has low power, small plates and only a basic filter. You should definitely not waste your money on a machine like this. The Alkaviva Vesta is a much better machine than the Aqua Ionizer Deluxe, but it still comes up short on filtration and power. It can produce moderate pH and antioxidant ORP levels, but it can’t produce high pH levels or high antioxidant levels. To get a pH of 9.5 (the level for daily consumption) from this machine, you have to slow the flow of water way down, to about 2 liters per minute. It takes a long time to fill pots and pans using this machine. The Vesta comes with two filters, which are effective against more than just chlorine. But you can’t get your filters customized, so you are taking a chance that some toxins may get through when you drink water from this machine. Take away: This machine only has enough power to reach moderate levels of ionization. It’s lack of power also hurts in on flow rate, 200 watts isn’t enough power for this machine. Because you can’t customize the filtration, this machine may not filter all of the toxins in your water. The Chanson Miracle MAX has a little less power than the Alkaviva Vesta GL, and only a single filter. It has only seven flat plates. As you’d expect, this machine only reaches moderate pH and ORP values, and to get there you have to slow the flow of water through the machine way down. In fact, to get the pH over 10, we had to slow this machine down to less than a liter per minute. This means you’d be standing at the sink for 5 minutes to fill a gallon pot. The Miracle MAX has a basic carbon filter, so like the Aqua Ionizer Deluxe, it doesn’t protect you from much more than just chlorine. There are no pre-filters for this machine, so you’re really taking your chances when drinking the water it makes. Takeaway: The Miracle MAX’s lack of power and single filter are the cause of it’s predictable lack of performance. It just doesn’t filter enough toxins, or have enough power for its plates. 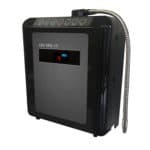 The Kangen machine is the most expensive ionizer sold, at nearly $4,000. For that price, you’d expect to get great performance – and you’d be wrong. The Kangen machine has only a single filter, and it can’t filter heavy metals or salts at all. You can get pre-filters for the Kangen machine, but they are very expensive. This machine has large, flat plates, but only 230 watts of power. It outperforms the Aqua Ionizer and the Miracle MAX, but not by much. It’s performance is on-par with the Alkaviva Vesta. If it weren’t so expensive, the Kangen machine might make an acceptable mid-range performer. Like the other three ionizers we’ve looked at so far, the Kangen machine is hurt by lack of power. Takeaway: The Kangen machine can be made to work well, but it’s just too expensive to make it worth it. The LIFE Ionizers MXL-15 has roughly four times times the power of the other machines, twice as many plates with MESH plates available as an option. This machine has everything we’ve talked about that should make a great ionizer, and it shows: Where the other machines we talked about struggled to get over a pH of 10, the MXL-15 can reach as high as a pH of 12. Because the pH scale is logarithmic, that means that the MXL-15 can make alkaline water that is 100 times more potent than the other machines we’ve looked at. The MXL-15 comes with a free pre-filter system that is configured to target the pollutants in your water, so you get alkaline water of the highest purity. It is easily twice the ionizer of all the other machines we’ve looked at. But it’s not twice as expensive. The countertop version costs slightly more than the Kangen Water machine – but you get twice the ionizer for your money. Takeaway: The MXL-15 has everything we’ve discussed that makes a great ionizer. That’s the reason it seriously outperforms the other ionizers we’re comparing. As you can see, lots of power, great plates, and custom filtration make a great ionizer. Hydrogen machines, water ionizers, water alkalizers and hydrogen sticks all do the same thing: They make water more alkaline. In fact, hydrogen machine is just another name for a water ionizer, they are the exact same thing. Water alkalizers, hydrogen sticks, and alkaline water pitchers all work the same way: They add something to the water to raise its pH. Hydrogen machines are water ionizers; both machines use charged titanium platinum coated plates to separate water into alkaline and acidic water streams. To make hydrogen, the machine must be able to split water molecules, and that takes a lot of power. To make any meaningful amount of hydrogen, you’ll need at least 400 watts of power. • Beware of: Underpowered machines that call themselves hydrogen machines. It it’s less than 400 watts, it’s not really generating hydrogen. • Keep in mind: Hydrogen is lighter-than-air, so it rises. Because of this, it’s impossible to fill your glass with hydrogen. The gas will just float up and away while your glass is filling. So look for the same thing you look at in a water ionizer: pH levels and antioxidant ORP levels. No filtration: Hydrogen sticks don’t filter water, you must supply clean, chlorine free water. Why no chlorine? Because when you alkalinize chlorinated water, it becomes bad for your heart. This means you can’t use unfiltered tap water with hydrogen sticks. If you use bottled water, the cost of using hydrogen sticks adds up quickly! Magnesium hydroxide is the active ingredient in Milk of Magnesia. Hydrogen sticks add lots of magnesium hydroxide to water, so if you drink too much, you can get diarrhea. Can’t control pH: You can’t adjust the pH levels that a hydrogen stick gives you. Depending on water quality, you’ll probably get a pH of anywhere between 8 and 10. Water alkalizers add alkaline mineral salts to water to make it alkaline. They are better (and more expensive) than hydrogen sticks because they add both calcium and magnesium to your water, and they filter it as well. A water alkalizer will not work well with hard water because hard water is already full of mineral salts, so the machine struggles to add enough mineral salts for good pH levels when you have hard water. How to compare an alkalizer to a water ionizer. Compare both machine’s filtration systems. Just like with a water ionizer, the best water alkalizers will come with custom filtration. Compare the pH and antioxidant ORP performance; typically a water alkalizer will give lower pH and ORP levels than a water ionizer. Just like water alkalizers and hydrogen sticks, you are limited to one pH level, typically between 9 – 9.5. Filter pitchers can take about 20 minutes to make two liters of alkaline water. Performance will decrease as the filter ages. Lastly, if you have hard water, you may not get very good pH or antioxidant ORP levels. You can compare alkaline water filter pitchers and filters to water alkalizers and hydrogen sticks. The performance will be about the same, but it’s likely you’ll find the pitchers to be less expensive. Reviews are a great way to check out water ionizers as long as they are honest reviews. The best water ionizer reviews come from actual customers, since they have real-life experience using the machine they are reviewing. You can find customer reviews on Amazon, look for reviews by people who actually bought the machine, Amazon labels reviews by people who actually bought their machine on Amazon. You can find LIFE Ionizer Reviews by actual LIFE Ionizer customers on the LIFE Ionizer website as well. Another problem with water ionizer review sites is that they can, and often do, falsify the results of their water ionizer reviews. You can reduce the performance of a water ionizer by lowering the current level, that makes the pH and ORP performance look weaker than it is. You can also use poor quality, hard to ionize water. That too will make a machine look weak. Water ionizer comparison tip: Read reviews by actual customers first, they are most likely to be genuine. Then check out water ionizer review sites. If what you see on the review site is very different than what actual customers say, chances are that you’re looking at a fake water ionizer review. The above ionizers represent a good cross-section of what kinds of ionizers are found on the market today. We recommend you compare LIFE to those top brands as well. • Countertop or under counter? Why not both? Some water ionizers are designed to work on the countertop, some ionizers are designed to work under counter. The best water ionizers are convertible: You can use them countertop, or under counter with the addition of a faucet kit. LIFE Ionizers are convertible; you can use them countertop or under counter. • Ionizer cleaning: Self cleaning vs. manual cleaning. Most ionizers are self, cleaning. The notable exception is the Enagic/Kangen machine. You have to disassemble and clean it every six weeks. • Compare LIFE to Enagic: LIFE Ionizers are self cleaning and feature our CleanTech anti-scale technology. You never have to disassemble your machine, and it cleans automatically. Thanks to LIFE’s CleanTek technology, you can use your LIFE Ionizer with hard water. You can’t use the Kangen machine with hard water, it voids the warranty. • Anti-scale technology reduces hard water deposits in water ionizers. Ionizers that don’t have anti-scale technology (like the Kangen machine) are prone to clogging from hard water deposits, and can need frequent cleaning. • Optional technologies exist that can make your ionizer more efficient, improve it’s filtration, and protect you against waterborne pathogens. When comparing ionizers, keep in mind that these optional technologies aren’t offered by all companies. Be sure to ask the company whose ionizer you’re considering if they have the optional technologies you want. • GRID and MESH plates increase the efficiency of the water ionization process by 10 – 15%, so you get higher pH and antioxidant ORP levels. GRID plates are better than MESH because they are more durable. LIFE Ionizers offers GRID plates as an option, and they are guaranteed for life. • Custom Filtration is included FREE with new LIFE Ionizers, but it is an option in some other brands. When comparing other brands to LIFE Ionizers, be sure to include the cost of customizing the ionizer’s filtration when comparing the cost of the competing ionizer with LIFE Ionizers. You will need custom filtration to try and match the quality and purity of LIFE Ionizer filtration: Even our competitors admit LIFE is #1 when it comes to filtration. Warranties and customer service vary widely across all brands of ionizers, so be sure to compare them when comparing ionizers. You can compare warranties by getting warranty information from the company’s site. To compare customer service, you should seek out customer testimonials. As we mentioned earlier, Amazon is a great place to read actual customer testimonials. You can also look up a company on www.trustpilot.com to see customer reviews there. Of course, the Better Business Bureau is also a good place to look and see what a company’s track record looks like. When comparing ionizers, there are some things that should be an automatic red flag: Multi-level marketing (MLM). Products sold through MLM are more expensive than those that are sold direct, so you simply end up paying more than the product is really worth if you buy through MLM salespeople. As you can see from the comparison above, the LIFE MXL-15 is literally twice the machine that the Kangen machine is: You get more than twice as many plates, four times the power, and vastly superior filtration – for just $17 more! The reason the Kangen machine is so expensive is that it’s sold through MLM sales. Another red flag is if you find out that the ionizer you are looking at is made in China. Ionizers made in Japan or Korea are certified for use as medical devices by their countries medical authorities, so you can be sure the machine you’re looking at meets medical standards. China does not certify its ionizers as medical devices, so you run the risk of the machine being built with dangerous materials like lead, and the risk of sub-par performance. A note for California customers: The poorly-made Chinese ionizers are not sold in California, because they do not meet state consumer safety standards. If you live in another state, you should consider whether the machine you are looking at is sold in California, brands that aren’t sold in California will produce inferior quality and possibly hazardous water. The third red flag you should watch out for is companies that claim the water from their ionizer cures lots of diseases like cancer, diabetes, etc. Claims like that have not been evaluated by the FDA, and are not allowed under the law. If a company makes those types of claims, they are lying to you. If they are willing to lie about how the machine could benefit you, how can you trust them? Certified as a Medical Device? We invite you to compare LIFE Ionizers with other brands, we are confident that you’ll discover that “the other guys” just don’t measure up to our build quality, technologies, warranties, and customer service. You can buy with confidence from LIFE Ionizers – we guarantee it.